Rondo & Pinot Noir Rosé 2016: Deep cherry hue, typical of an English rosé. Wild strawberries with a herbal accent. Sweet fruit across the palate, fresh acidity, well balanced with a moderate length. Seyval Blanc & Ortega 2016: Pale, lemon-yellow hue with citrussy aromatics – lemon, lime and a gentle oak. Slightly sweet with creamy oak, green fruit and yellow plum across the palate. Madeleine Angevine 2016: Very pale, lemon-green colour with delicate aromas of green fruit, tangerine and a lemony zest. This is a very pretty, light bodied and lively wine. Rondo 2017: A deep ruby colour with summer pudding fruits on the nose. Toasty notes. Mid-weight with lively acidity and linen-textured tannins supporting the fruit. A good length, with warm spice adding to the interest. To celebrate the new releases (and make some space for them), we’ll be offering a 20% discount on all our still and sparkling wines online and in the Polgoon Vineyard Shop from 1-14th November 2018. Please use the discount code FAB4 at the checkout. 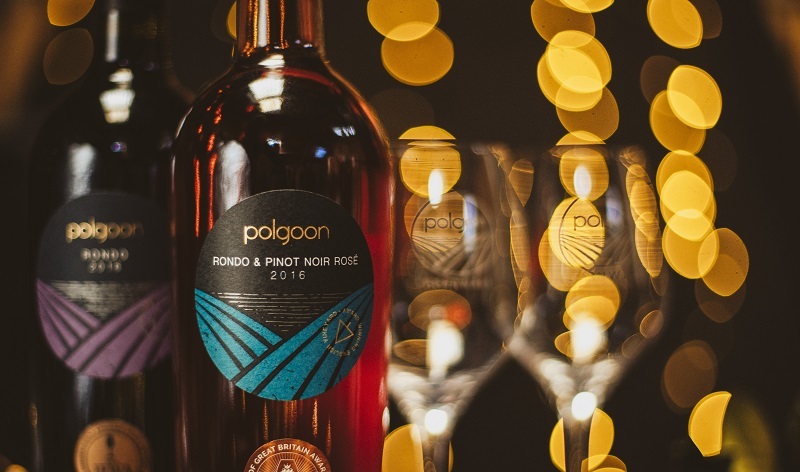 The new releases will be available soon in the Polgoon Vineyard Shop and online. The shop is open from 9am-5.30pm daily and 10.30am-4pm on Sundays.